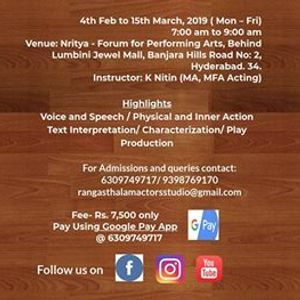 It’s a perfect opportunity for you to hone your acting skills. 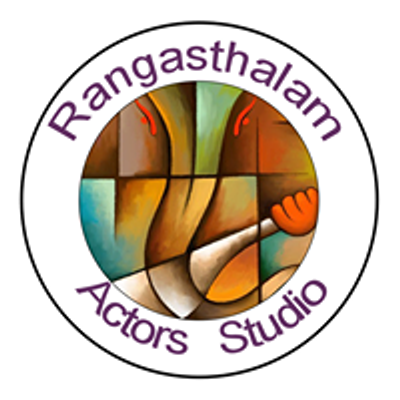 Dare to step on the stage and test your acting potential. 	Physical awareness, flexibility and body rhythm. 	Body language, gestures and posture. 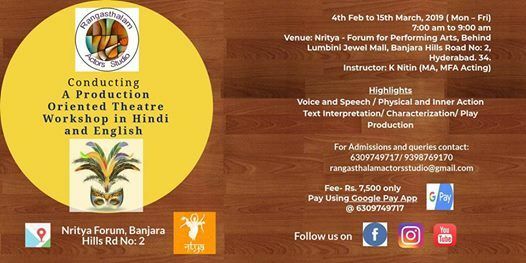 It will culminate in a play production which will help the participants to apply their newly acquired creative skills.